The Hagopian Family Fund celebrates the contributions of Sharon and Vasken Hagopian to the FSU High Energy Physics (HEP) program. 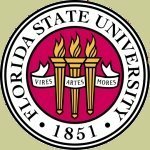 The Hagopian Family Award is given annually to recognize and support one or more FSU HEP graduate students. The Hagopian Family Fund also supports an annual Lectureship. The first Hagopian Family Lecturer was Joseph Incandela (UC, Santa Barbara) on April 17, 2014. The Hagopian Family Fund also pays the initiation fee for physics majors elected to Phi Beta Kappa. Donations to the Hagopian Family Fund can be made through the FSU Foundation.